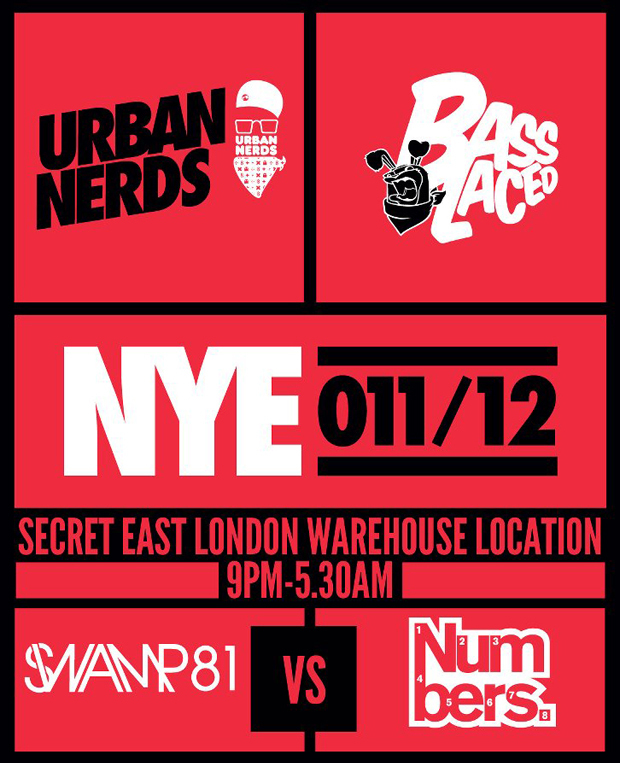 Deciding New Years Eve plans is usually a huge predicament for most of us, but thankfully this year the Urban Nerds crew have teamed up with the people at Basslaced and announced a line up to blow us all away and make that decision nice and easy. Going in hard with two of the scenes strongest underground labels going head to head, Urban Nerds welcomes SWAMP81 and Numbers to battle out the show. The line-up features label head honchos Loefah and Jackmaster along with the likes of Oneman, Boddika, Pinch, Deadboy, Redinho and Spencer. 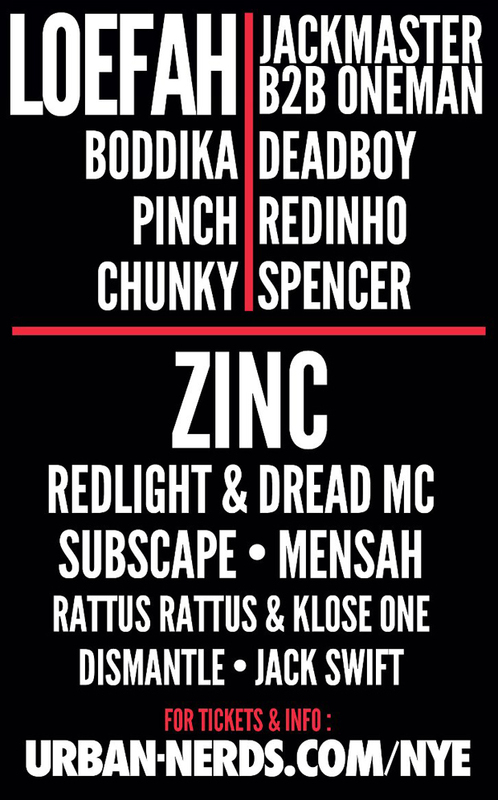 Room 2 duties are covered by Zinc, Redlight, Mensah topping this night off with complete Urban Nerds party vibes. This is the one for me this year hands down. Tickets are now at the fifth release and are £30, and it’s 100% guaranteed this will sell out soon, so grab them now at Urban Nerds.